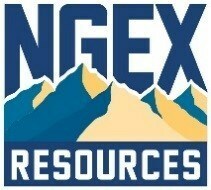 NGEx provides update and closes book on CDN $20 million non-brokered private placement | NGEx Resources Inc. Completion of the Non-Brokered Offering is expected to occur on or about January 31, 2019 and is subject to receipt of all necessary regulatory approvals, including the approval of the Toronto Stock Exchange, and certain other customary conditions including, but not limited to, execution of subscription agreements between the Company and the subscribers. Common Shares sold in the Non-Brokered Offering will be subject to a hold period of four months plus one day under applicable securities laws in Canada. It is anticipated that two shareholders who are currently insiders of the Company intend to complete a share swap whereby such insider shareholders will sell Common Shares from their holdings and intend to subscribe for a corresponding number of Common Shares under the Non-Brokered Offering. A 5% finders' fee may be payable on a portion of the Non-Brokered Offering (other than that portion of the Non-Brokered Offering subscribed for by insider shareholders). The Company plans to use the net proceeds of the Non-Brokered Offering towards ongoing work programs in Argentina and Chile, including completing a feasibility study on the Josemaria Project, engineering and exploration studies on the Company's other projects, repayment of existing balance owing on the Company's US$5 million Debenture, and for general corporate purposes. The issuance of Common Shares to insiders constitutes a "related party transaction", as defined under Multilateral Instrument 61-101 ("MI 61-101"). The transactions will be exempt from the formal valuation and minority shareholder approval requirements of MI 61-101 as neither the fair market value of any Common Shares issued to nor the consideration paid by such persons would exceed 25% of the Company's market capitalization. NGEx is a Canadian mineral exploration company with projects in Argentina and Chile. The Company's shares are listed on the TSX and on the OMX under the symbol "NGQ". The Company's main focus is on advancing the development of its two, large copper/gold deposits, Los Helados and Josemaría, located in Chile's Region III and adjacent San Juan Province, Argentina. The Company owns a 100% interest in the Josemaría project and is the majority partner and operator for the Los Helados project, subject to a Joint Exploration Agreement with its joint exploration partner in Chile, Pan Pacific Copper ("PPC"). The Company is also actively seeking new exploration projects and carrying out earlier stage exploration on projects with large scale potential. This information is information that NGEx Resources Inc. is obliged to make public pursuant to the EU Market Abuse Regulation. The information was submitted for publication, through the agency of the contact person set out below, on January 21, 2019 at 4:00 pm Pacific Time. Certain statements made and information contained herein in the news release constitutes "forward-looking information" and "forward-looking statements" within the meaning of applicable securities legislation (collectively, "forward-looking information"). The forward-looking information contained in this news release is based on information available to the Company as of the date of this news release. Except as required under applicable securities legislation, the Company does not intend, and does not assume any obligation, to update this forward-looking information. Generally, this forward-looking information can frequently, but not always, be identified by use of forward-looking terminology such as "plans", "expects" or "does not expect", "is expected", "budget", "scheduled", "estimates", "forecasts", "intends", "anticipates" or "does not anticipate", or "believes", or variations of such words and phrases or statements that certain actions, events, conditions or results "will", "may", "could", "would", "might" or "will be taken", "occur" or "be achieved" or the negative connotations thereof. All statements other than statements of historical fact may be forward-looking statements. In particular, this news release contains forward-looking statements with respect to the closing of the Non-Brokered Offering, the insider participation in the Non-Brokered Offering, the use of proceeds from the Non-Brokered Offering, and other risks and uncertainties. Forward-looking information is provided for the purpose of providing information about management's current expectations and plans and allowing investors and others to get a better understanding of the Company's operating environment. Forward-looking information is based on certain assumptions that the Company believes are reasonable, including that any necessary approvals will be obtained, the proceeds will be used as currently intended, the current price of and demand for commodities will be sustained or will improve, the supply of commodities will remain stable, that the general business and economic conditions will not change in a material adverse manner, that financing will be available if and when needed on reasonable terms and that the Company will not experience any material labour dispute, accident, or failure of plant or equipment. These factors are not, and should not be construed as being, exhaustive. Forward-looking information is necessarily based on estimates and assumptions that are inherently subject to known and unknown risks, uncertainties and other factors that may cause the actual results, level of activity, performance or achievements of the Company to be materially different from those expressed or implied by such forward-looking information, including but not limited to: risks and uncertainties relating to, among other things, failure to receive required approvals, the possibility that investors will not subscribe for the Non-Brokered Offering and the risk that closing conditions may not be satisfied, as well as other risks and uncertainties more fully described under "Risks Factors" in the Company's most recent Annual Information Form and other disclosure documents which available under the Company's profile at www.sedar.com and the Company's website.